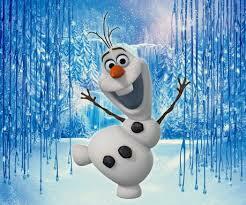 The absolute best part of Frozen, for me, was Olaf the snowman (voiced by the incredible Josh Gad). As far as I’m concerned they could’ve just done a whole Olaf movie. Please tell me they’re doing an Olaf movie. His song, In Summer was hilarious. I heard it once and have been singing and/or humming it since. A perfect example of what you don’t know is much more important than what you know. Despite my love of Disney movies, I don’t think I’m part of their new demographic, but at least they’re trying to show strong female role models. I wish they’d get off the Princess kick. Sure Frozen isn’t exactly groundbreaking, but it has it’s amusing and meaningful moments. I really liked the part where Elsa discovers that she could be who she really was without hurting herself or others. Anna hopefully learned that if something is too good to be true, it is. Oh and she could be her own person and still find love. I wish it was less a regurgitation of earlier Disney attempts to appear less patriarchal and more let’s-give-them-strong-female-characters-so-parents-won’t-feel-guilty-for-letting-their-children-watch-this-stuff, but progress can be slow. Anyone remember Lilo and Stitch? Two sisters, Ohana means family, no one gets left behind. Weird little alien. New songs, new animation, but the same stuff. If I watched Frozen again I would probably fast forward through most of the other songs as I found them tedious, kind of like Tangled. Sometimes it just feels like they’re playing it safe. Perhaps I should try watching them again later; I could still be getting over the music in The Lorax. 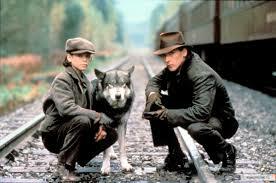 Maybe I’m just pining for some of Disney’s grittier moments. 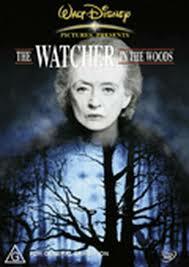 Bette Davis gettin’ freaky in The Watcher in the Woods. Bambi still makes me cry. 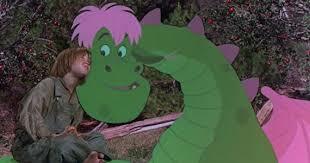 Even Pete’s Dragon was edgier. 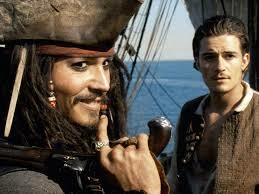 Pirates of the Caribbean had their fun, and less politically correct. If I wanted to watch a Disney film with strong women I’d probably watch: Mulan, Lilo and Stitch, Brave, The Aristocats, Candleshoe, The Journey of Natty Gann, Wild Hearts Can’t Be Broken, The Rescuers, etc. Uh bah bah bah bah bah boo – in summer!